LTCExam.com, the premier Nursing Home Administrator exam preparation resource nationwide, is proud to announce our first annual scholarship for advancement in higher education. This is a general scholarship which will award the selected applicant with a scholarship award of $2,000. This scholarship will be awarded to students enrolled in an accredited college or university in the United States during the academic year. The annual scholarship award is for one (1) student enrolled in an associate’s degree, bachelor’s degree or graduate level program at an accredited 2-year college or 4-year university during the 2017-2018 academic year. Applicants must include a 250-word maximum introductory bio with their 500-750 word essay and sign the Scholarship Award Agreement. A $2,000 scholarship will be awarded to one (1) individual students who write the most compelling essay as judged by LTCExam.com staff. 250 word maximum introductory bio about yourself – you may choose to include your work or educational background, why you’re seeking a degree in your field, and why this scholarship interested you. 500-750 word essay response to the question: How can technology improve the lives of retiring seniors? Signed and dated Scholarship Award Agreement. Email scholarship@ltcexam.com to submit your essay, introductory bio, and signed Scholarship Award Agreement. Also provide proof of official transcript & proof of acceptance into an accredited college or university. Award recipients will be notified individually and announced by January 05, 2018. These scholarships are not available to students attending a trade school, two-year college, or any of the U.S. military academies, because at these academies expenses covered by NESA scholarships are already paid by the United States government. Recipients will be notified by July 15, 2013. Deadline for submissions is December 31, 2012. Click here for the scholarship FAQ page. This application is only for the NESA, Hall/McElwain, and Robert and Rebecca Palmer merit scholarships for Eagle Scouts. The number of scholarships awarded varies annually depending on the funds available. Recipients are chosen based on Scouting participation, character, and community service. Selection is open to graduating high school seniors and undergraduate college students up to completion of their junior year. These scholarships are paid directly to the college or university. This application is for scholarships that are provided through the Mabel and Lawrence S. Cooke Scholarship Endowment, the United Health Foundation, and the National Eagle Scout Association Scholarship Fund. Applicants may submit one copy of the application (along with required attachments) to be considered for all the academic scholarships. Recipients must meet the minimum SAT or ACT score, and are chosen based on Scouting record, school activities, and financial need. These scholarships are paid directly to the college or university. Every year, Comcast and the Comcast Foundation ask High School Principals and Guidance Counselors to collaborate in identifying the best and the brightest high school seniors in their communities. Why? Because we want to motivate young people to achieve their potential, to be involved in their schools, and to be catalysts for positive change in their communities. The Comcast Leaders and Achievers Scholarship Program recognizes students who exemplify these ideals – and who serve as models for their fellow students. We know it’s not easy to be a kid today, and every bit of encouragement helps. That’s why we award recipients a one-time grant of $1,000 to be used toward their pursuit of higher education. Since 2001, the program has recognized more than 17,000 students around the country-and given away more than $17.4 million in scholarship grants. To give young people – the leaders who will build and shape our communities – every opportunity to be prepared for the future. To demonstrate the importance of civic involvement, and the value placed on civic involvement by the business community. All nominations for the Leaders and Achievers Scholarship Program must be made exclusively by the Principal or Guidance Counselor. Principals and home-school instructors may e-mail comcast@applyists.com to verify school eligibility status and to request program materials. Nomination deadline is December of each year. The AXA Achievementsm Scholarship in association with U.S. News & World Report provides $670,000 in annual scholarships to young people throughout the nation. APPLY EARLY: only the first 10,000 applications will be accepted. The application deadline is December 1 of each year, but if 10,000 applications are received before that date, the program will automatically close. Fifty-two winners – one from each state, the District of Colombia and Puerto Rico – are selected by our nonprofit partner, Scholarship America, to receive one-time scholarship awards of $10,000 each. From the pool of 52 state winners, ten are selected as national winners and earn an additional one-time scholarship of $15,000. This brings the top AXA Achievers total scholarship awards to $25,000 each. The Scholarship Committee will evaluate each State applicant based on the criteria outlined in this application packet. E.valuation points will be assigned as follows: application (5) academic GPA (10) academic curriculum (10) church participation (15) community participation (5) content of recommendations (5), essay (50). Each State Congress may submit one applicant to the National Scholarship Commission. The award will consist of a five thousand dollar ($5,000) scholarship; one for each applicant from each of the five regions of the National Baptist Convention as submitted. If there is no applicant from one of the regions, the funds will be divided in a prorated manner. A scholarship will be awarded to a student in the name of the National Baptist Convention President, Dr. Julius R. Scruggs and an additional one in the name of the Congress President Dr. George W. Waddles; all others will be awarded in the name of the National Baptist Convention USA, Inc. The scholarship deadline for submission to the local District President is in September and the final application must be submitted by December 15. The National Space Club awards a $10,000 scholarship each year, in memory of Dr. Robert H. Goddard, America’s rocket pioneer. The scholarship is presented at the Goddard Memorial Dinner each spring, for the following academic year. The award is given to stimulate the interest of talented students in the opportunity to advance scientific knowledge through space research and exploration. Each year the winner of the Goddard Scholarship is introduced to the nation’s leaders in science, government and industry at the Goddard Memorial Dinner. The National Space Club will pays for travel and lodging costs so that the awardee will be able to attend the Dinner. The scholarship is named in honor and memory of Joe Martin, former Principal Corporate Affairs Executive and Special Counsel to former Chairman Hugh McColl. Joe sacrificed much time and effort to better his community. He represented the kind of well-rounded, knowledge-seeking character that Bank of America hopes to mirror in its quest to provide opportunities to students with the determination to excel. The Bank of America Joe Martin Scholarship program is a competitive scholarship program available for college or vocational schools in the U.S. to dependents of employees who have been employed by Bank of America for at least 1 year. Dependents of deceased, disabled, or retired employees also are eligible. Applications for the Joe Martin Scholarship will be accepted from December 1 through the last day of February. Winners will be notified no later than June. In job bands 4 – 9 at the time the scholarship is awarded (employees in job bands 0 – 3 are not eligible). Complete eligibility criteria and application guidelines are available between December 1 and the last day of February. Students may apply online by clicking here. 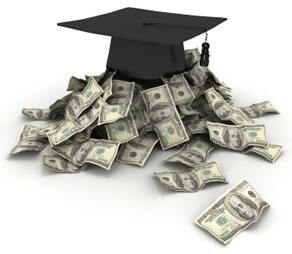 Graduating high school seniors may only apply for one of the four scholarships. Applicants will be notified of scholarship award status in May – June. The deadline for occurs during December of each year and all mailed back-up documents must be postmarked by the deadline date.